Japan’s First AI Chatbot for Travel – Bespoke Inc. Source: RC Solution Co., Ltd.
RC Solution Co., Ltd., of Shinjuku, Tokyo (CEO: Akira Kuriyama) has as of today released both iOS and Android versions of the Emergency Earthquake Alarm ‘Yurekuru Call’ app, offering voice warning announcements, available to Premium Service users only. TOKYO – Keio Plaza Hotel Tokyo (KPH), one of Japan’s most prestigious international hotels located in Shinjuku, Tokyo, will host a “Cherry Blossom Spring Fair” from March 1 (Thursday) to April 30 (Monday), 2018 at eight of our restaurants, including French and Italian Cuisine, Chinese Dinning, Japanese Kaiseki Cuisine, and Korean Dinning. The executive chefs at each restaurant will serve specially prepared menu items based on the theme of “Sakura” Japanese cherry blossoms and matched with champagnes and wines. Our hotel will also display special flower arrangements and other decorations to commemorate the arrival of spring and cherry blossoms for guests to enjoy and take photographs. The National Museum of Modern Art, Tokyo, Japan’s first national art museum situated at the Kitanomaru Park neighboring the Imperial Palace, will exhibit various masterpieces featuring spring at its annual spring exhibitions in 2018. Source: Recruit Holdings Co., Ltd.
TOKYO – Recruit Holdings Co., Ltd. (Headquarters: Chiyoda-ku, Tokyo; President and CEO: Masumi Minegishi) announces that, from April 2018, its wholly owned Asian subsidiary, RGF Hong Kong Limited (“RGF”; Headquarters: Hong Kong; President: Takashi Kuzuhara, www.rgf-hr.com/ ), will integrate its brands and strengthen organizational governance to enhance its range of permanent recruiting services, from executive to staff, across Asia. 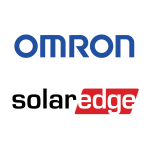 KYOTO, Japan – SolarEdge Technologies, Inc. (“SolarEdge”) (NASDAQ: SEDG) and OMRON Corporation (“OMRON”) (HQ: Shimogyo-Ku, Kyoto. President and CEO: Yoshihito Yamada) are launching a new DC optimized inverter solution for Japan’s high-voltage PV market. KARIYA, Japan, Jan. 29, 2018 – DENSO Corporation, one of the world’s largest automotive suppliers, today announced it has developed a new standard vision sensor that detects pedestrians at night, cyclists, road signs, driving lanes and other road users. Source: Diamond Electric Mfg. Co., Ltd.
Diamond Electric Mfg. Co., Ltd. developed a business card-sized, thin isolated bidirectional DCDC converter (IBDC) in December 2017. The technology can substantially downsize and reduce the weight of DCDC converters, which are essential for rechargeable batteries, and is expected to contribute to spreading electric vehicles (EVs) and smart grids. In recent years, requirements of large-capacity batteries for EVs and smart grids are causing rechargeable batteries to have higher voltage. Therefore, demands are growing for higher-level isolation of DCDC converters to ensure safety and meet safety standards. In response, Diamond Electric has developed the new IBDC by fully utilizing its unique controlling technology (for which a patent is pending). The IBDC combines both charger and discharger circuits. By adopting high-frequency switching technology (up to 2MHz), Diamond Electric has developed an ultra-compact IBDC (93.5 mm x 60 mm x 10.5 mm excluding control circuit and heatsink). Furthermore, the use of gallium nitride (GaN) power semiconductor enabled the achievement of high conversion efficiency (up to 95%) despite the high-frequency switching. 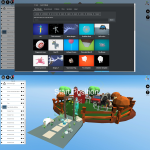 By utilizing these technologies, the company expects to downsize the final product to 25% of other existing models. ConferenceSeries Ltd invites all the participants across the globe to attend the Conference International Conference Robotic Surgery- Da Vinci System to be held during May 21-22, 2018, Tokyo Japan. Robotic Surgery 2018 includes prompt keynote presentations, Oral talks and Exhibitions. Novel research and discoveries in Robotic surgery 2018 points to learning and offer new thoughts among the experts, industrialists and understudies from investigate region of Robotics Surgery to share their examination encounters and enjoy intelligent exchanges at the occasion.